Early in the Morning, Depart for Mussoorie from Delhi Via Meerut, Muzaffarnagar and Dehradoon. for Taking Your Lunch (on Your Own Cost), Opt for One of the Several Dhabas, On Your Way. On Reaching Mussoorie, Get Checked Into Your Pre-booked Hotel. Spend the Evening Leisurely and Stay At Your Hotel Overnight. . In the Morning, Leave for Local Sightseeing in and Around Mussoorie. Explore the Camel Back Road, Kempty Falls, Gun Hill and Lal Tibba. Spend the Evening Leisurely and Stay At Your Hotel all the Night Long. In the Morning, Opt for Visiting the Picture Palace Road and the Mall Road. Check Out Several Eateries And/or Shops Situated On the Popular Mall Road. Spend the Evening Leisurely and Stay At Your Hotel Overnight. In the Morning, Drive to the Jim Corbett National Park Via the Cities of Rishikesh, Haridwar and Finally to Corbett. On Reaching There, Get Checked Into Your Pre-booked Hotel. Spend the Evening Leisurely and Stay At Your Hotel all the Night Long. 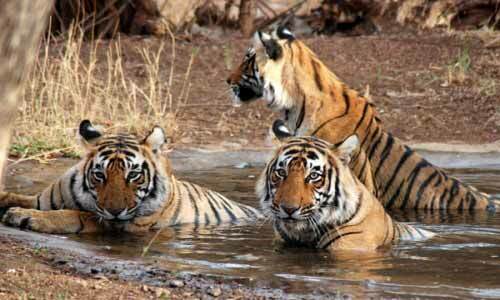 In the Morning, Opt for Doing a Jungle Safari (directly Payable At the Hotel By the Client) in Jim Corbett. Spend the Evening Leisurely and Stay At Your Hotel Overnight. In the Morning, Set Out for Delhi to Take Your Flight/train to Your Required Destination. and Now Your Tour Ends.